Perhaps in the search for lower Cost of Supply oil, Majors and Independents will be drawn once more to the Middle East? What are the opportunities nowadays in Iraq - especially Kurdistan - or Egypt for example; what could they be if Iran were to become accessible again, making the big assumption that the nuclear proliferation issue can be settled? And what's going on in the Lebanon - Israel - Cyprus 'triangle'? And, after the unrealistically euphoric days of the “Arab Spring” what are we to make of the political situation, from the Mediterranean Sea to the Indian Ocean? And what should we think about the security situation, beyond the obvious “no-go” areas? Where the oil & gas industry is today in Egypt, how it got there and the direction it may be going in. Challenges & advantages around the industry in Egypt. Stephen is a Commercial Manager at Sasol Petroleum International responsible for Southern Africa. In a previous life he was an exploration geologist for Murphy, Hamilton Brothers and BHP and retains a keen interest in the petroleum geology side of the business. Sasol Exploration and Production International (SEPI) develops and manages the group's upstream interests in oil and gas exploration and production in Mozambique, South Africa, Canada, Gabon and Australia. SEPI is driving the development of Sasol's upstream business to allow the group to meet its strategic objective of accelerating the growth of its proprietary gas-to-liquid (GTL) technology. In recent years we have taken a number of steps to expand our global upstream portfolio, encouraged by the global abundance of natural gas and the rapid development of the shale gas industry, as well as the lower carbon intensity of natural gas. We are investing in ventures ranging from onshore and offshore conventional and unconventional shale and tight gas. In a period of low oil price, East Med has started to look like a complex area to develop new business in; Libya and Syria with above ground issues, Nile Delta running out of easy gas (only deep and expensive gas left), Lebanon Licensing round not progressing, and a couple of dry wells drilled in Cyprus. Or so we thought until IEOC made the 30TCF Zohr discovery a month ago. So although the fundamentals of the hydrocarbon stories in the area haven’t changed, and I’ll discuss these, the exploration energy in the Eastern Med has been electrified by Zohr, and I’ll talk about the effect on play systems in Cyprus, Lebanon and possibly Libya/Italy. A new area of 80,000 sq.km is now open for exploration in Egypt's West Mediterranean Sea. To increase understanding of the petroleum systems, identify the play types and define future exploration blocks, new regional geophysical data is crucial and approximately 5,000 line km of new geophysical data is tentatively planned to be acquired during the first quarter of 2016. Areas to be covered and line locations are being planned in collaboration with EGAS and companies prepared to explore this frontier area. The pronounced mechanical stratigraphy of the cover sequence, characterised by mechanically strong platform carbonates, alternating with thick packages of weak shales, mudstones and evaporites. This exerts a fundamental control on folding and thrusting, the resultant trap geometry and integrity, and the development of pervasive fracture networks. Structural inheritance, both from reactivation of early regional fracture sets seen in basement rocks of the Arabian shield, and the postulated inversion of Tethyan rift structures that remain poorly imaged at present. The oblique close of the Tethys ocean, and the consequent transpressional development of the Zagros. Collectively these factors have a profound effect on hydrocarbon systems through the region, and make the structural style of the Zagros very different to classic fold and thrust belts such as the Rockies, Alps or Himalayas. The Arabian Plate is justly known as the major hydrocarbon province of the world, and many of its petroleum systems are located in relatively standard although very large, intraplatform basin systems. However the area is unusual in that much of its reserve is located in a carbonate-dominated foreland basin system in younger rocks of Late Cretaceous and Cenozoic age. This is largely attributable to the fact that compression and collision of the Arabian Plate with Eurasia was such a slow process and only became typical of most other fast-subsiding, clastic-dominated and highly compressive foreland basins during the later Neogene. The importance of early foreland evolution lies in the trapping of most clastic input on the NE basin margin, allowing development to the SW of thick carbonate shelf margin reservoirs that offlap laterally through time, into a sediment-starved basin. Carbonate platform growth was interspersed in time and space with areas and periods of tectonic uplift that sometimes provoked shoaling and often the development of secondary karstic porosity. During basin closure there was also an increasing abundance of basin-fill evaporites within the stratigraphy, that come to dominate the depositional system and act as a regional top seal. These events occurred prior to major loading of the basin by the later Neogene clastic infill, which provides significant burial sufficient to promote hydrocarbon migration out of pre-foreland source kitchens. Exploration in Kurdistan has a long history but it is only relatively recently that there has been a flurry of activity and discoveries. Often considered an area where finding petroleum is akin to shooting fish in a barrel some of the critical geological elements that can be both positive and negative for finding commercial hydrocarbons are explained. Most obvious fields have been found but detached deeper structures exist. Jurassic and Cretaceous reservoirs can paradoxically be good and bad in the same instance. The size of accumulations (spill points), finding rates and ultimately field sizes are presently difficult to determine accurately and relate to the complexity of structures and reservoir evaluation/performance. Genel Energy plc is an oil company with a registered office in Jersey and field office in Turkey. It has its exploration and production operations in Iraqi Kurdistan with plans to expand its activities into other Middle East and North African countries. The company owns rights in six production sharing contracts, including interests in the Taq Taq, Tawke, and Chia Surkh fields. Despite its long history of hydrocarbon production, there remains a great deal of potential for exploration in Iran, alongside increasing recovery from existing fields. The Iranian government has expressed a desire to see liquids production double by 2018 to 5.7MMbopd and gas production in increase to 35.3Bcfgpd (most from development of the super-giant South Pars gas field) – a major opportunity for collaboration when international sanctions are lifted. 3. Resource plays from rock units such as the Kazhdumi and Pabdeh shales. 4. The potential of the South Caspian – what is the significance of the Sardar-e-Jangal discovery? To assess these opportunities requires access to as much well organized data as possible and interpretations that cut through over-simplistic and/or confusing lithostratigraphy and which examine the distribution of reservoir, source and seal from the perspective of predictive sequence stratigraphy and in regional context with the application of suitable analogues. This approach is also very relevant to improving recovery from existing fields by application of sequence stratigraphic models that explain both vertical and horizontal reservoir heterogeneities and thus lead to improved modelling and exploitation strategies. · Iran's new upstream contract framework: What are the advantages and disadvantages? · What’s current status of Iran oil and gas production? How much oil and gas will be produced in Iran, and where are the new supply sources? · Which oil and gas fields have potential for foreign investments? · Iran's oil and gas exports: What potential export opportunities exist once sanctions are lifted? What are the key obstacles for Iran's gas export projects? · What are the main risks for upstream investment in Iran? How the companies can mitigate these risks? Iran has ambitious goals to increase its crude oil production capacity to around 5 mmb/d and gas production to over 35 bscf/d by the end of this decade. To achieve the goals, the country requires an access to foreign technology and financing. In fact, when sanctions will be lifted, Iran will need to encourage foreign investments in its oil fields through more attractive upstream contracts. The new upstream contract model called the Iran Petroleum Contract (IPC) is a risk service integrated exploration, development, and production contract that combines features from both typical?style service contracts and production?sharing agreements (PSA). Lifting sanctions and return of the IOCs to the country will result in dramatic and positive changes in the Iranian petroleum industry. However, Iran will remain as a high risk country for international investments and the main question remains how risks can be mitigate? He is a specialist in energy modeling and long-term supply/demand forecasts. Siamak has an extensive knowledge about the upstream oil and gas and infrastructure in Iran. 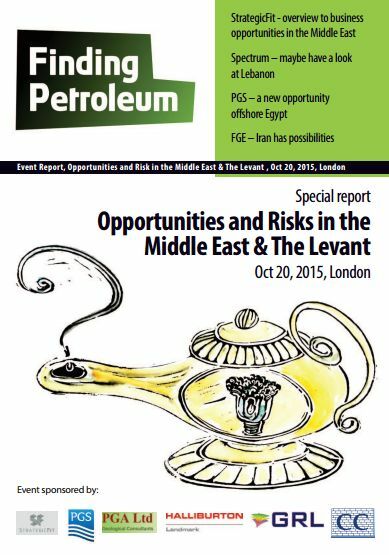 Siamak’s most recent FGE multi-client study focused on the Middle East domestic gas market. He is an internationally recognized expert on Iran and Middle East oil and gas sector. Siamak holds an MBA from Victoria University, Australia, an MA in Energy Economics from Islamic Azad University in Iran, and a BA in Economics from Allameh University in Iran. PGA provides a series of multi-client reports on the petroleum geology of Iraq and adjacent areas. The reports are based on analysis and interpretation of rock samples and well data from the University of Reading Middle East Archive.